St Johnstone have been a bit slow out of the blocks but can take over at the top of Group B with a win over Falkirk at McDiarmid Park. Tommy Wright's men opened with a 0-0 at home to East Fife and they were holding on a bit at the weekend after squandering several good openings in Saturday's 1-0 success at Montrose. The good news is that new striker Tony Watt got off the mark, with his first goal in 14 months. He's on from the start again this evening. Ayr United and Partick Thistle lead the way in Group E, both with six points in the bag from two outings. They will be favourites to keep winning as the Jags visit Albion Rovers and the Honest Men host Stenhousemuir. It all points to a grandstand showdown at Firhill next Saturday, a ground Ayr gaffer Ian McCall knows very well. Can Steelmen stop red-hot Dobbie? 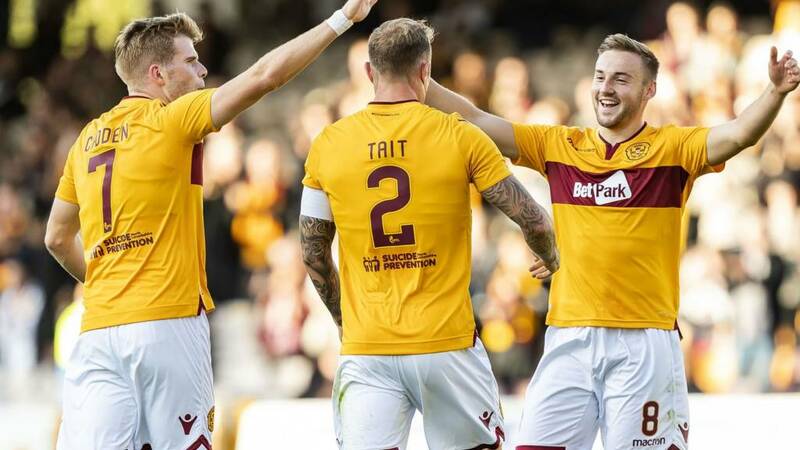 Motherwell, last year's beaten finalists, are playing catch-up in Group G.
Queen of the South, tonight's visitors at Fir Park, are looking to make it four wins from four. Doonhamers' wily old striker Stephen Dobbie has been on fire, banging in seven goals so far. 'Well only took one point from their weekend trip to Stair Park, with no fewer than four players missing penalties in the shootout after a 1-1 draw with League One Stranraer. To add injury to insult, defender Charles Dunne picked up a hamstring problem, which is set to rule him out for up to six weeks. The eight group winners progress, along with the four best runners-up. They will be joined by our European representatives - Celtic, Aberdeen, Rangers and Hibernian - in the knockout stage. You can check out all of the group standings here. There's no time to mess about as the Scottish League Cup ties keep coming thick and fast. It's all concluded at the weekend, so it's time to get serious. Here's what we have in store tonight.